New England summer vacation ideas! The Children's Museum in Easton, Mass., resides in a former fire station in historic and charming North Easton Village, Mass. It was formed in 1986 by Easton mothers in search of hands-on educational experiences for local children. The result has been a great success, bringing in over 40,000 visitors annually. Children and extremely immature adults can play with ball shoots, sit in a king's and queen'schair, play in the playhouses, work in the woodshop and create in the arts and crafts room, to name a few of the many fun things to do. With three floors of fun and over 100 programs where kids can learn through exploration, the Children's Museum of Easton is an underrated hidden gem. The setting is informal, friendly and supportive and the cost is just right at $6.00. If you think all gingerbread cookies taste the same, the Yum Yum Shop, in Wolfeboro, N.H., will refute that theory -- the fresh, spicy, cookies are, as the Beatles once said, "way beyond compare" (it's unlikely, however Sir Paul McCartney was singing about gingerbread cookies in "I Saw Her Standing There."). The Yum Yum Shop dining room is full of personality with its gingerbread man designed seats and tables. Upon entering this delightful room overlooking the serene eastern shores of Lake Winnipesaukee, countless gingerbread men chairs wave at you (in a inanimate way, of course), enhanced by New England village green wall art and some pretty stained glass. There's a captain's ship wheel for the kids to play with and a very tall gingerbread man the size of former National Basketball Association oddity Manute Bol, but they'll probably be too busy concentrating on one of the myriad sugar concoctions. The Yum Yum Shop Web Site states its offerings are "Just like...Grandma used to make!" Nothing could be more accurate, as a quick scan across the room makes one realize that several trips back to this landmark establishment are in order -- the cookies, puff pastries, cakes, donuts, muffins, danishes, turnovers, breads, whoopie pies and, of course, gingerbread men, have that profound effect. Many years ago, Nantasket Beach in Hull, Mass. featured Paragon Park, one of the finest and most fun amusement parks in the northeast United States. A conglemorate of mean people took away the amusement park, so that condos and other grown-up stuff could be built. Fortunately, they left the wonderful beach, which spans a few miles and has provided generations of summer joy for families close to Boston. The beach, plus some wonderful seaside restaurants like the Red Parrot, make Nantasket Beach a great summer place to go, even though Paragon Park is gone. Great to see, however, that the Paragon Carousel remains from the glory days of Paragon Park. The Paragon Carousel is a well-maintained, lovingly-crafted merry-go-round from 1928 featuring 24 restored horses and a Wurlitzer band organ that generates the familiar carnival music! The Ogunquit Lobster Pound in Ogunquit, Maine, may upset lobster rights activists, but this perennial coastal Maine favorite brings joy to lobster lovers who can pick their own lobsters at the on-site pond, watch them boil in the steaming pots, and then have a wonderful family-oriented dinner indoors or outdoors (on picnic tables). The Ogunquit Lobster Pound's lobster is unbeatable and the overall feeling connects one to the true joys of summer. If you're tired of playing miniature golf at one of those backwoods locations with ripped carpets, mold on the sides and leaves from 1973 filling up the holes, then try Golf on the Village Green in Natick, Mass. This hokey, but unique miniature golf course is well-maintained and features life-size statues of famous historical figures and putting greens centered around places like Faneuil Hall, the Old North Church and the Old State House. For those not historically minded, there is an arcade on the premises. The only downside is that Golf on the Green is not located in a summer tourist area -- a key criteria for a miniature golf course. You can, however, shop at the ever-expanding nearby Natick Mall or find solace at Chucky Cheese. Gillette Castle in East Haddam, Conn., is a stunning piece of achitecture, with its majestic three story interior (no walk-up attic needed here), 24 rooms, 47 doors (each one different), white oak woodwork and carvings, stone stairways, built-in couches, a moveable table on tracks, an inside porch fountain, sweeping views of the Connecticut River, and most importantly for the children, ice cream in the nearby refreshment shop. The outside is no less spectacular with, as the DEP states, where, "trails often follow, over trestle and through tunnel, the actor's three mile long narrow gauge railroad. Gillette's own walking paths were constructed with near-vertical steps, stone-arch bridges, and wooded trestles spanning up to forty feet. Other outdoor attractions include a vegetable cellar, the railroad station (Grand Central), and Gillette's goldfish pond." For those who appreciate detail and who are not sapheads, visiting the Gillette Castle makes for a glorious day whether it be for architectural appreciation, learning about an eccentric and excessive piece of history, enjoying a New England scenic highlight in viewing the Connecticut River from a higher elevation, or spending a day at the castle (there are also ample opportunities for picnicing, hiking and camping on the premises) and nearby Essex -- which, arguably, exemplifies the "small town" feeling perhaps better than any other town in New England. From Deep River near Essex, the castle is approachable by a pleasing three-minute ferry ride across the Connecticut River, or by car from the castle side (the ferry is more fun). York's Wild Kingdom, in York Beach, Maine, appears to be bigger than the state of Rhode Island. A large zoo with some very unusual animals such as the white bengal tiger mixes with family rides, paddle boats, an 18 hole miniature golf course, a petting zoo, scenic picnic grounds and a Haunted House. If that isn't enough, you can leave the premises and enjoy the day at Short Sands Beach, a wonderful summer family destination with big, cold waves and a splendid view of the rocky Maine coast. Billed as the "world's largest collection of historic Navy ships," Battleship Cove in Fall River, Mass., offers the family a hands-on experience from sounding the diving horn on the Submarine Lionfish to cranking the handwheels on Big Mamies 40mm guns. The U.S.S. Joseph Kennedy is a behemoth sight to behold -- you won't believe that this shopping mall-size carrier was built in only eight months. An all inclusive experience --coupled with Heritage State Park-- offers family friendly dining, camping, and boating opportunities as well as experiencing a wonderful carousel, saved from the defunct Lincoln Park in Rhode Island. Battleship Cove, Five Water St., Fall River, Mass. Tel. (800) 533-3194 New England only, P: (508) 678-1100, f: (508) 674-5597. See fine art and eat fine French vanilla ice cream all under one roof-- The James Gallery and Soda Fountain in charming Old Saybrook, Conn., may be the best ice cream shop-art gallery in the world because it is probably the only ice cream shop-art gallery in the world. The ice cream served at this 1896 soda fountain is some of the best in New England with a high butterfat content and, in the warmer summer weather, candlelit eating outside next to the historic Timothy Pratt Bed and Breakfast and a great Main Street with gas lit lamps, huge homes, a flower filled median strip and some nice locally-owned shops -- absolutely delightful during the summer vacation. The art gallery features local and independent artists' work -- a nice place to wait in line for ice cream, or become a serious art patron/customer. The Minuteman Bikeway in west suburban Boston has been transformed into a model, family-oriented bike path offering an appealing 11 mile mix of untouched scenic land, historic sites, pleasant suburbia landscapes through the western Boston suburbs of Cambridge, Arlington, Lexington and Bedford. The level 12-ft. wide, well-maintained asphalt pavement makes for an ideal way to enjoy bicycling, walking, jogging, in-line skating, and cross-country skiing (the bike path is not plowed in the winter). It is especially nice touring Lexington Center -- right off the bike path -- where an amazing retaining of history allows one to see the Revolutionary War landmarks. Lexington is a town that is one of New England's truly beautiful communities. From big houses on tree-lined streets to a wonderful downtown with shops, restaurants and nice places to walk, Lexington is a "must-visit" New England family travel destination and the bikeway is a great way to visit one of America's great towns. Minuteman Bikeway, Cambridge to Lexington, Mass. Eat outdoors by the Maine seacoast at Barnacle Billy's in Ogunquit, Maine -- Barnacle Billy's is one of those landmark New England traditions and one of the most popular summer vacation tourist destinations in the northeast. The oversized seafood shack feel, delicious Maine lobster and wonderful views of Perkins Cove on the Atlantic Ocean results in one of New England's most pleasant experiences. The Triple A Pawtucket (R.I.) Red Sox at McCoy Stadium in Pawtucket, R.I., offers family-oriented baseball where you don't have to worry about getting beer spilled on you, or having people from Darwin's waiting room (a phrase coined by Dennis Miller) using bad language. The stadium is spacious, organized and the baseball players try very hard -- the major leagues are a step or two away. After a game, fans have the benefit of visiting one of New England's best cities, Providence which has enjoyed a tremendous renaissance, retaining its historical (Brown University area, the Italian, colorful Federal Hill, the mile of colonial homes on Benefit St.) with a shiny ultra modern hub (Providence Place shopping mall is a great example). Pawtucket Red Sox, Ben Monor Way, Pawtucket, R.I. Tel. 401/724-7300. A coastal wonderland, Colt State Park in Bristol, R.I., offers a stunning three-mile scenic drive with panoramic views around the east side of the Narragansett Bay. Hiking and biking trails, 464 acres of fruit trees, 10 large playfields, swimming (at adjacent Bristol Town Beach), fishing, boating and six picnic groves (with 464 picnic tables!) picnicing all make for a splendid day at what is one of the best representations of the New England coast for tourists to see. Colt State Park, Hope St. Bristol, R.I. Tel. (401) 253-7482. Kids can see their fairy tale heroes come to life during the summer at Storyland , a fantasy park set in the beautiful White Mountains of New Hampshire (in the town of Glen). Fiction comes to life at interactive play areas where Peter Pumpkineater, Mother Goose, Cinderella, Three Little Pigs and many other storybook characters reside in a truly fun, village-like setting. The 21 rides include a pumpkin coach and a pirate ship, while live shows allow kids to interact in farm and astronaut settings. There is also a circus, sure to please the whole family. There are no rattlesnakes and it really isn't a mountain, but the panoramic views of Squam Lake from the top at West Rattlesnake Mountain in Holderness, N.H., are breathtaking and the hike will make you barely break a sweat. Some hikes that require greater physical effort and most of the day climbing cannot approach the scenery that you'll find at this out-of-the-way New England great discovery. Bring a blanket, food and enjoy one of the best views in New England, with very little effort involved in getting there. Finding a solution to summer Cape Cod traffic is easy; go to Rhode Island! Why fight the Cape Cod summer traffic seemingly starting in Wyoming when the Rhode Island South County beaches are there to enjoy? Roger Wheeler State Beach, for example, is a classic family-oriented beach with a good amount of soft sand, relatively gentle ocean waves, and enough room for everyone. Roger Wheeler Beach is located in Narragansett, one of the true fun spots of New England with miles of oceanside walking, a live fishing village at Point Judith and some of the best seafood we've sampled at George's of Galilee. The total experience is every bit as fun as Cape Cod without the traffic. Mardi Gras in sunny Natick, Mass. Jordan's Furniture in Natick, Mass., has a reputation in New England as making furniture shopping fun and in the comfort of great summertime air conditioning. Local legends Barry and Elliott, owners of Jordan's, make that theme known perhaps best at their Natick store, where you can see a Mardi Gras re-creation in a shopping mall-like corridor in this gigantic store on a hill overlooking scenic Framingham (just kidding, it is one big strip mall on Route 9). With a Bourbon Street look, a huge singing Elvis, Louis Armstrong and the Beatles, the loud music, party-like atmosphere and flashing lights make this one of the best free shows in metro Boston. It's an interesting juxtaposition as once the show is over, you can buy that microfiber couch you were always dreaming of. Increased traffic and people with boom boxes seemingly surgically attached to their ears have somewhat hampered the sheer beauty of Henry David Thoreau's former home, Walden Pond in Concord, Mass., but don't let any of that stop you. Walden Pond glistens with beauty, has a well maintained swimming area with a small sandy beach, and is steeped in history, making for a wonderful 45 minute walk around one of the prettiest ponds in Massachusetts and a prime New England summer vacation destination. Mystic Pizza or Julia Roberts? Mystic Pizza! Forget about Julia Roberts; just concentrate on the pizza at Mystic Pizza, in the colorful oceanside town of Mystic, Conn. Mystic Pizza became famous in 1988 after the Julia Roberts film of the same name became a "must see" movie. The reality is, Mystic Pizza didn't need the move, Julian Roberts and fame to be good -- it already served some of the best pizza in Connecticut. Within a neighborhood restaurant setting with handsome wood, colorful decorative lights and comfortable booths, Mystic Pizza makes a "clean" pizza -- that is, you can taste each ingredient (and they are all abundant from the homemade tomato to the high quality toppings) without it being overwhelmed by grease. The same can be said about Mystic -- not too much grease, just a sweet seaside town with a great aquarium, myriad shopping opportunities without getting too obnoxious, a sense of history, and the magnificent ocean for you to enjoy. A longtime favorite New Hampshire White Mountains family tourist destination, Clark's Trading Post in North Woodstock, N.H., is best known for its trained New Hampshire black bears display. Clark's also features a scenic 30-minute railroad ride, a covered bridge, bumper boats, a haunted house, an "Americana" museum, souvenirs, ice cream and more. Clark's is timeless, getting creating the same summer family vacation memories just the way it did many, many years ago. The miniature golf, cotton candy, fried dough, french fries, cheeseburgers, carousel, arcade games, amusement rides, festivals, fairs, concerts, fireworks, boardwalk and long stretch of unusually sandy beach for Maine makes Old Orchard Beach, Maine, this a great summer family destination. It's honky-tonk, but in a clean, fun way. Consider the New England Aquarium in Boston, Mass., the biggest fish in the pond, in regards to finding the best aquarium in New England. Thoughtfully designed on multi-levels, the overwhelming number of colorful, personality-filled fish, a warm welcome from the intelligent seals, a mean look from the baby sharks,the chance to see what salmon look like before ending up at your local market and several interactive, educational programs will raise your internal omega 3 levels without even sitting down to eat. A pure delight for the whole family, it would be easy to spend several hours at the New England Aquarium. It wouldn't be a New England vacation for kids without going to Hollis, N.H., in southern New Hampshire and swimming in the cozy, clean, 1,000 ft. long Silver Lake State Park beach, playing ball in the pine tree-cooled fields, making sand castles, and eating hot dogs and hamburgers until blue in the face. Hollis is a quintessential New England colonial, church-steepled town of Hollis; Silver Lake is a quiet place to be close to family, make lots of new friends and years later happily relive those memories in the photo scrapbook and videotapes. Find isolated beauty at Sand Beach in Acadia National Park, Maine. Sand Beach is an instant memory as it is set between the spectacular setting of the classic rocky Maine coastline and mountains. Just under 300 yards long, Sand Beach may be short in distance, but endless in beauty -- so untouched and so small and intimate is this wonder of nature that it makes you wish that you could bring this environment home. Find more information on Sand Beach and Acadia National Park click here. Visit a New England clam shack -- The coastal North Shore section of Massachusetts hold two of the best clam shacks in New England -- the Clam Box (Ipswich) and Woodman's (Essex). Woodman's get most of the glory as it is arguably the first clam shack in the country, and keeps it reputation alive by serving wonderfully greasy fried clams, but The Clam Box might be a tad better -- the clams have less grease and a better taste. The Clam Box - Woodman's debate is sot of like a regionalized "Taste great-less filling" conversation (remember the Miller beer commercial), with no clear-cut winner. We recommend flipping a coin, and then going to the Clam Box. Delicious and fun-filled for the whole family, there is no downside to a Ben and Jerry's Ice Cream Factory tour in Waterbury, Vt., especially when it is the high butterfat kind that makes its ice cream so delicious. Ben and Jerry's Ice Cream Factory, Route 100, Waterbury, Vt. Tel. 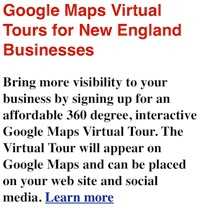 (603) 244-TOUR. Southwick's Zoo, in Mendon, Mass., is more fun than a barrel of monkeys! Some great fun can be found at Southwick's Zoo, beautifully situated on 330 acres in the heart of Massachusetts' scenic and serene Blackstone Valley. Arguably New England's finest zoo, Southwick's houses hundreds of animals, some of which are endangered species. You'll see the usual suspects such as giraffes, lions, tigers, monkeys and kangaroos along with lesser known animals like a pygmy goat, ankole bulls and Nilgai antelope. An extensive array of birds and reptiles will satisfy fans of those species. Southwick's also offers amusement rides, a play area created from recycled materials, animal shows and presentations, educational outreach focusing on animal ecology, and some lovely shaded picnic areas with snack shacks. Southwick's Zoo makes for one of the best family-oriented places in New England. Be sure not to miss it as part of your New England vacation. Hampton Beach, N.H., on the southeast coast near Maine, has tattoos, surfer dudes, future Jerry Springer guests, sloping foreheads, women who don't know the word "modesty" and... a beach, mounds of fried dough and pizza that isn't -- For better or worse, everyone has a Hampton Beach story. Full of show offs and people who just can't seem to get that office job, Hampton Beach is a prime New England summer vacation spot and offers one of New England's prettiest beaches if you block out the honky tonk. -- it's a great stretch of beach perfect to stroll and swim. Like Howard Stern, those who like Hampton Beach stay a day or two. Those who don't stay a week. Perhaps one of the most forgotten great beaches in New England, Goose Rocks Beach in scenic southeast coastal Kennebunkport, Maine, is scenic and tranquil, the perfect spot to get away from the hustle and bustle of the booming southern Maine tourism industry. The stunning views of Goose Rocks and Timber Island and a great three-mile stretch of beach make Goose Rocks a personal favorite to those who have had the fortune to discover this "road less taken" spot. It's especially nice at sundown as the colorful flavor of the day sky weaves magic around the splendid solitude of this grand New England beach. Chefs, gardeners and home goods experts come together at Stonewall Kitchen, a modern yet charming New England tourist attraction near the Maine seacoast on Route 1 in York, Maine. Born at a three-foot square card table at a local Famer's Market many years ago, Stonewall Kitchen caught the attention of many New Englanders impressed with Stonewall Kitchen's deep respect of New England agriculture and the amazing products spawned from that vision. From the best blueberry jam we've sampled in New England to incredible salad dressings, Stonewall Kitchen is a tour de force in fresh New England products, as well as an incredible offering kitchen, gardening and home goods. Also on the premises is a dining room with an open marketplace type of setting, offering the ultimate in baked goods, wines, salads, sandwiches, a Sunday brunch and full dinners. Stonewall Kitchen is indeed a major part of the New England spirit, always working hard and sometimes stoically to bring out the best this region has to offer. The fact that Stonewall Kitchen is located in a modern, state-of-the art facility with space to roam casually makes the shopping experience that much better. Stonewall Kitchen, Stonewall Lane, York, Maine. Telephone: (207) 351-2712. New England ocean beaches for your summer vacation. Fanueil Hall Marketplace, Boston, Mass. A New England family travels New England in search of the best campgrounds. From www.GoNewport.com -- Home to spectacular coastal scenery, awe-inspiring architecture, a thriving waterfront downtown, and welcoming hospitality, Newport, Rhode Island is considered by many to be a shining gem in the coastal crown of New England. Newport is conveniently located within driving distance of Boston (60 miles), Hartford (70 miles), and New York (150 miles). In addition, the destination is just 18 miles from T.F. Green Airport and within 40 miles of two Amtrak train stations (Providence & Kingston), making Newport easily accessible by car, plane, or train. Founded in 1639 as a colony of religious freedom, Newport is now a treasure trove of historical sites such as Touro Synagogue (1763), the nation's oldest synagogue; the Newport Colony House (1739), the oldest state house in Rhode Island and the fourth oldest in the nation; Trinity Church (1698), the nation's first church steeple; and hundreds of preserved colonial homes and buildings. In the late 1800s, America's wealthiest families chose Newport as their premiere resort destination. Today, visitors marvel at the magnificent Gilded Age mansions they built on Bellevue Avenue. Regarded by many as the grandest of Newport's treasures, this wide, tree-lined avenue is lined by Gothic Revival cottages, shingle-style houses, and opulent French and Italian-style palaces. The mansions, which bear notable names such as The Breakers, Marble House, Astorsí Beechwood, Belcourt Castle, and Rough Point, are now open for tours, and are always a impressive experience! Labeled a sailing capital of the world for good reason, the city-by-the-sea holds great appeal for sports enthusiasts! A longtime home for the America's Cup, the waters of Newport Harbor annually welcome ships from around the world! In Newport, visitors can enjoy a sunset sail aboard a wooden sailboat, an afternoon sight-seeing cruise on a former rum runner built during the height of prohibition, or even a harbor excursion on a chartered former America's Cup 12-meter. Home to the Museum of Yachting and the International Yacht Restoration School, Newport is a sailor's dreamland. Newport's sporting mansion, the International Tennis Hall of Fame, offers a comprehensive and interactive tennis museum, as well as the only lawn courts available for public use in the nation. In addition, the Hall of Fame draws crowds annually for a men's professional tournament held on the lawn courts each summer! Spectacular special events throughout the year offer something for every taste! The Newport Music Festival (July) annually brings in classical musicians for concerts in the magnificent setting of the mansions. The Schweppeís Great Chowder Cook-Off (June) appeals to food lovers looking to celebrate the flavor of a seaside city. The legendary JVC-Jazz Festival Newport (August) annually draws crowds for stellar performances in a historic fort beside the sea. In February crowds celebrate the season with ice-carvings and sleigh rides during Winterfestival, and in October the city comes alive with Oktoberfest! Topping off the grand allure of the mansions and the sea, it is often the simple pleasures that make Newport such a remarkable destination. A stroll on the Cliff Walk, a 3.5-mile walking path that winds between the sprawling lawns of the Newport mansions and the pounding surf of the Atlantic, is a one of a kind experience. An afternoon spent downtown wandering the cobblestone wharves is sure to turn up an exciting discovery in a unique shop or fantastic restaurant. And the hospitality of Newport's quaint historic inns and comfortable hotels, is welcoming enough to make visitors extend their stay! A charming seaside city with an intriguing past and vibrant spirit, Newport, Rhode Island has the unique ability to offer something for everyone, while still dazzling visitors with special amenities that could not be found in any other destination! Newport Mansions: Been there, done that? Think again with these memorable experiences! The Newport County Convention & Visitors Bureau is a not-for-profit organization dedicated to the promotion of the City of Newport and the five townships of Newport County as a destination for business and leisure travel. For further information, please contact the NCCVB Marketing Department at 401-845-9151 or www.GoNewport.com.